We just got in some amazing paper weights. 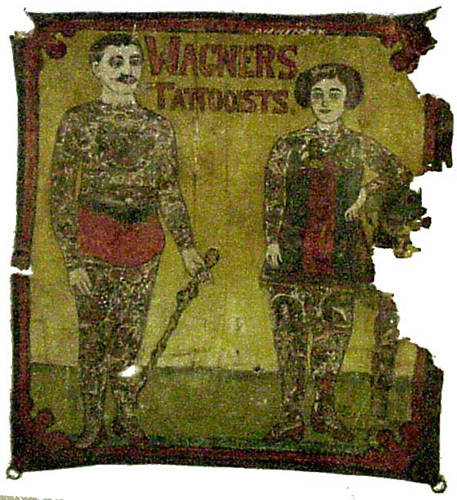 They feature a self portrait of Tattoo artist, Gus Wagner. Gus was quite the character, very unique and talented person. Here is a look into his life and history. “World’s Champion Hand Tattoo Artist and Tattooed Man,” was one of the most exuberant figures in the history of American popular culture. 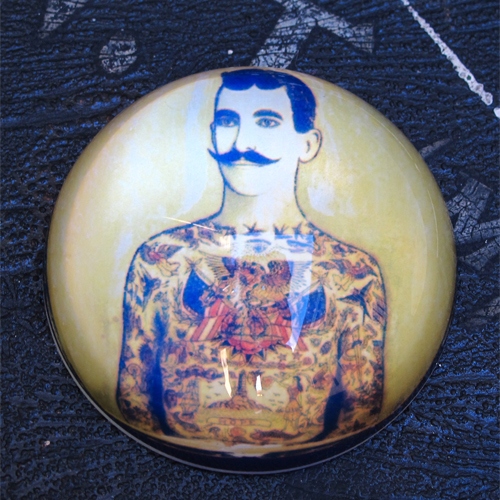 As tattooist and showman, he adorned thousands of customers and thrilled audiences from coast to coast in the early years of the 20th century. 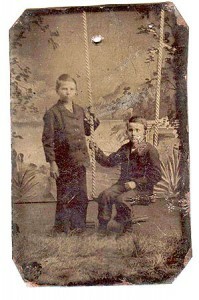 Gus was born in Marietta, Ohio, a trading and boatbuilding town on the Ohio River. 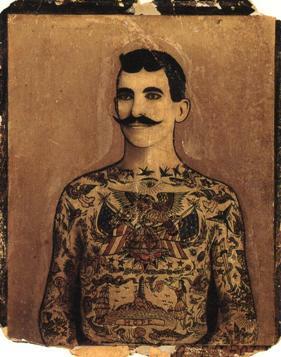 At age twelve he saw his first tattooed man, “Captain Costentenus the Greek Albanian,” in a traveling show. As a young man he hit the road as an itinerant salesman and laborer. 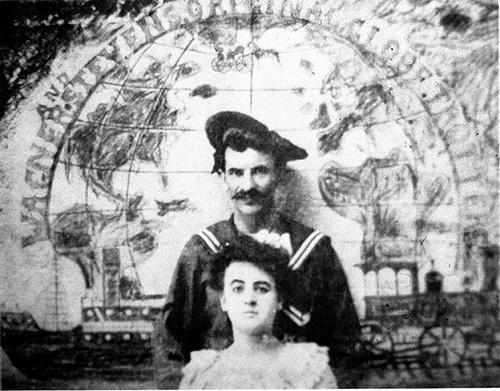 In 1897 he boarded the cargo steamer Bellona at Newport News, Virginia, thus embarking on a four-year career as amerchant seaman. Back home, Gus embarked on a forty-year career as a traveling tattooist, tattooed man, and circus performer. He largely eschewed the new electric tattooing machines that transformed the art form after 1890, and remained faithful to his hand-held instruments. With other wandering artists, he carried tattooing inland from coastal ports, making it part of the culture of small-town America in the 20th century. At some point late in life, Gus compiled a scrapbook of snapshots, trade cards, and other ephemera saved over the course of his career. Largely vanquished by movies, radio, and television, this world comes to life again in Gus’s photographs and souvenirs. 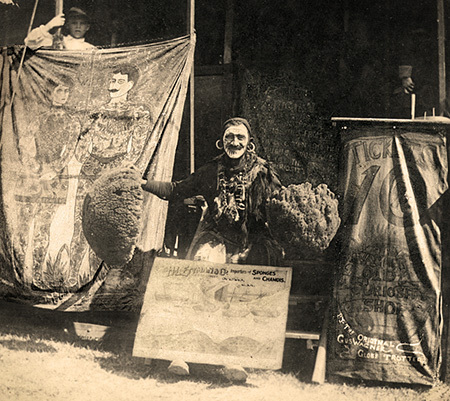 In his later years Gus diversified his talents, showing and selling busts and totems he carved out of wood. 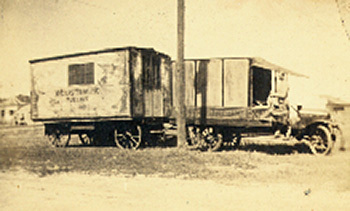 He also became a gem collector, taxidermist, and exhibitor of rare animals, reptiles, and birds. He continued to work as a showman in circuses and Wild West shows. Gus died after being struck by lightning, in 1941. Wow what a way to go!